Organisation! 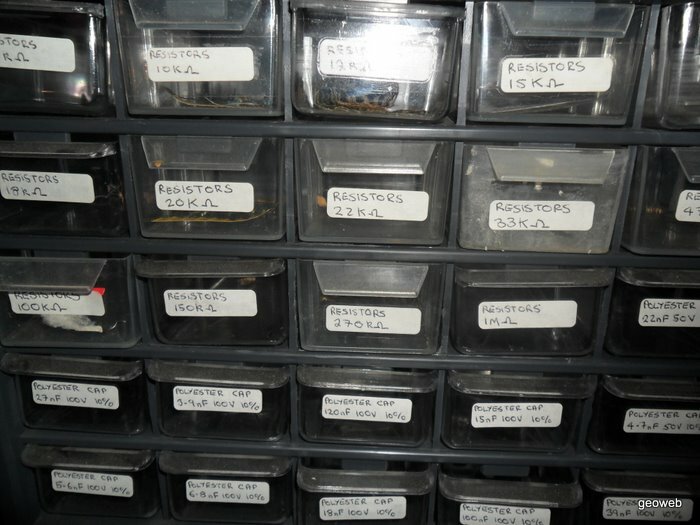 Component trays are the shiz. When you want a component, they are right there and waiting. It is like walking into a shop, but without the cost (or course you have to fill them up, but you forget about the purchasing after a while). I use component trays for through hole resistors, through-hole capacitors, diodes, transistors, MOSFETs, and common ICs (555's, max232's, etc). 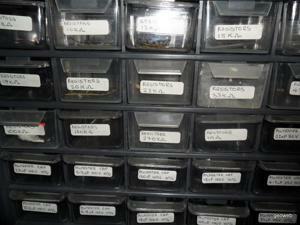 I have smaller containers for the surface mount equivalents. 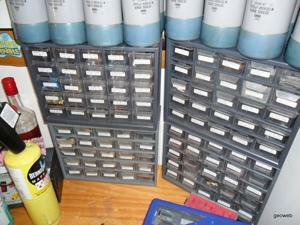 These trays are awesome for storing through-hole components. 20 of them in total. No, I didn't eat all that ice cream myself (but I sure did help!). But they are all 2L ice-cream containers, eaten by my family over the last 8 years. They make really good stackable containers for holding components and anything else that is too big or not used enough for the component trays. 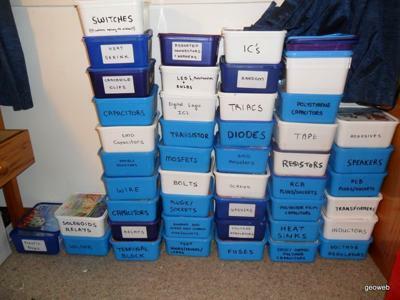 Ice cream containers for storage. I didn't eat all that ice cream, honest :-). 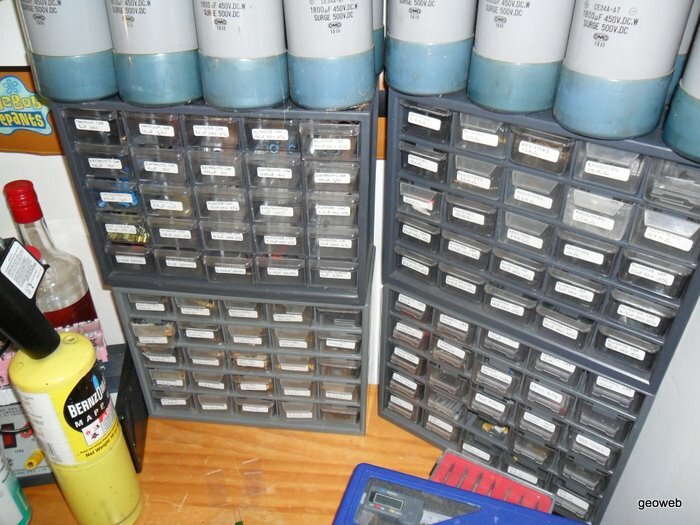 For storing SMD components such as resistors, capacitors, and ferrite beads, I use these modular storage containers from DealExtreme. They are great because a) cheap, b) small, c) modular, d) have flip-top lids which spring open. I use a labeller to create small labels for each one, describing the component. 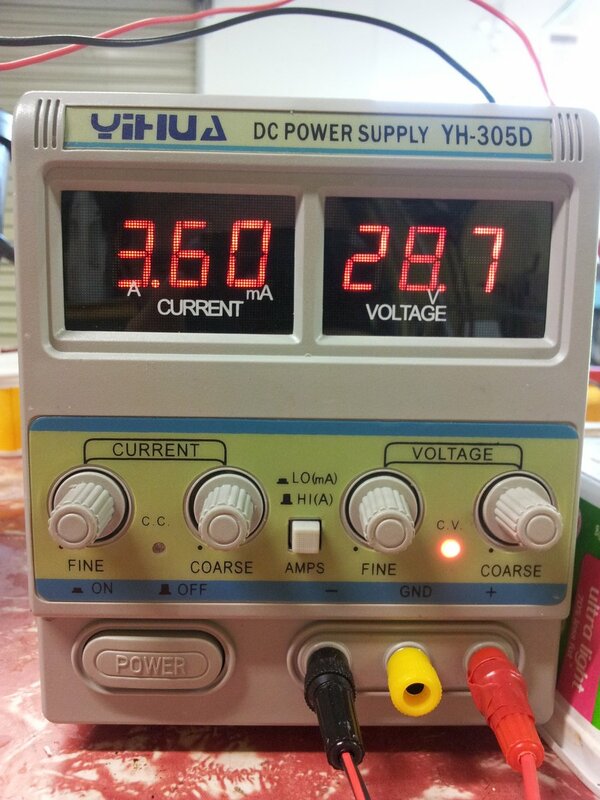 A variable voltage-limited or current-limited power supply is a must for any serious electronic work. 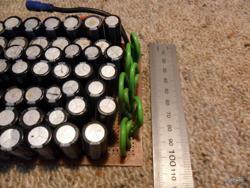 The current-limiting especially, as it prevent circuits from blowing up when prototyping. 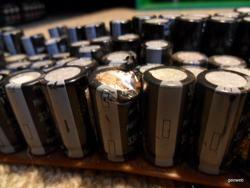 I brought a cheap 0-30V, 0-5A power supply from AliExpress. It is the YH-305D, as shown below. It set me back about NZ$130, including shipping. 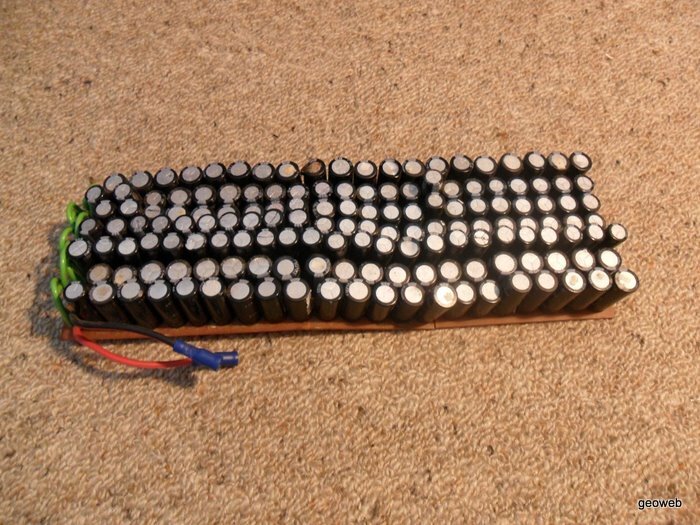 A single channel DC power supply with variable voltage and current controls. I also have a high-power DC-DC buck converter that I use when I need high current. It is a 12A, 4.5-30V in, 0.8-28V out (adjustable) buck converter that is rated to 100W without a fan and up to 200W with active cooling. It was about NZ$13 (US$9) on AliExpress. 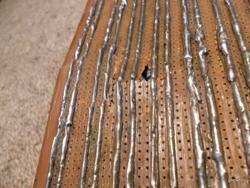 Here is a link to the product. A 12A, 4.5-30V in, 0.8-28V out DC-DC buck converter from AliExpress. Rated power is 100W without active cooling, 200W with active cooling. 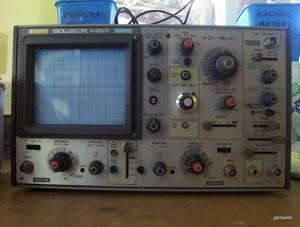 Hitachi V-1050F 100MHz Oscilloscope - This thing is an ancient beast. I picked it up for NZ$300 on TradeMe in about 2004. 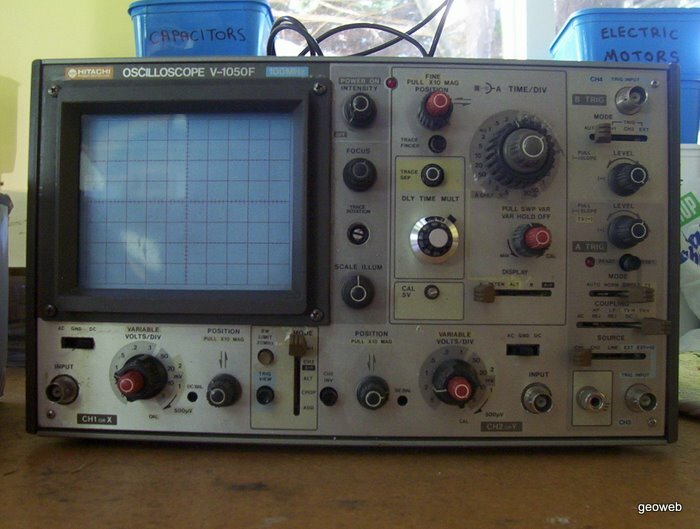 It is a analogue (CRT) oscilloscope that looks like it was first built in the 1980’s. It has four channels (with two of them being fully customisable), and the ability to go down to 20ns resolution. 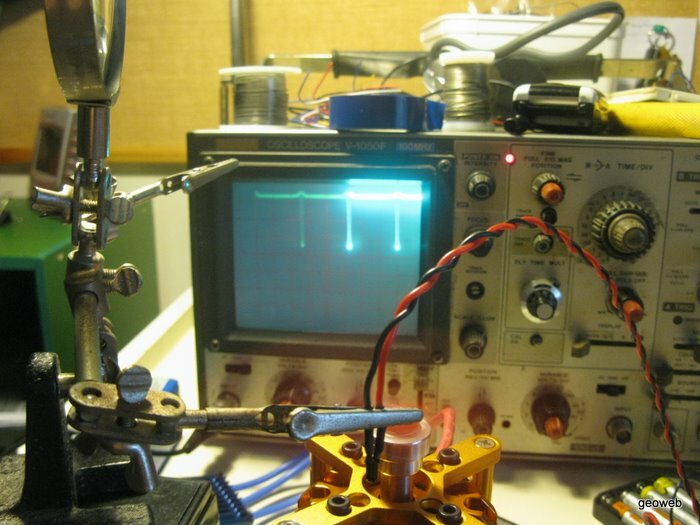 The annoying thing about it is that is that being analogue, the trace quickly disappears from the screen with slow signals (since it works by repeatedly moving an electron beam across the screen), making it hard to do some measurements or get a full idea of the signal shape. As of 2012 I got a new oscilloscope, a Rigol ADS 1102CAL. It has a 100MHz bandwidth. Brought it for NZ$400 from AliExpress. The new Rigol ADS 1102CAL oscilloscope. 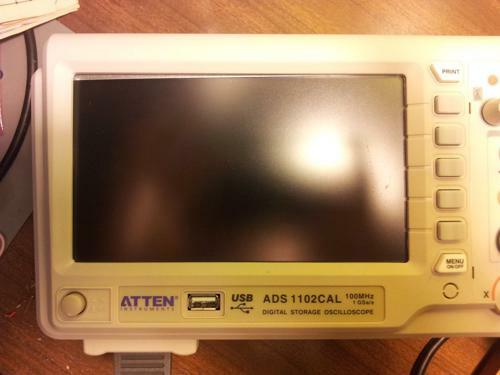 Newer oscilloscopes like this one usually have USB ports for saving captures of waveforms to. You can usually select from a range of file formats such as an image (.png, .jpeg), comma-separated values (.csv), or a proprietary binary format such as .wfm. I have found .csv files to be to most useful, since it gives you all of the raw data. I’m pretty sure the .wfm files also store all of the data, but for some reason I have had trouble trying to extract the timing information from them. I have used the .csv files to display graphs via Google visualizations on various pages on this site. My GitHub repo eng-graphs-js has all the graph data as well as the rendering code. Logic analysers are great tools for looking a digital circuits! Most oscilloscopes are great for looking at analogue waveforms, but have serious limitations when looking at digital waveforms (except fancy versions, which have digital analysers built in, or offer a hardware extension). Logic analysers usually have 8 or more inputs. They record the 1’s and 0’s on the inputs, and often have advanced features like comm protocol decode support. 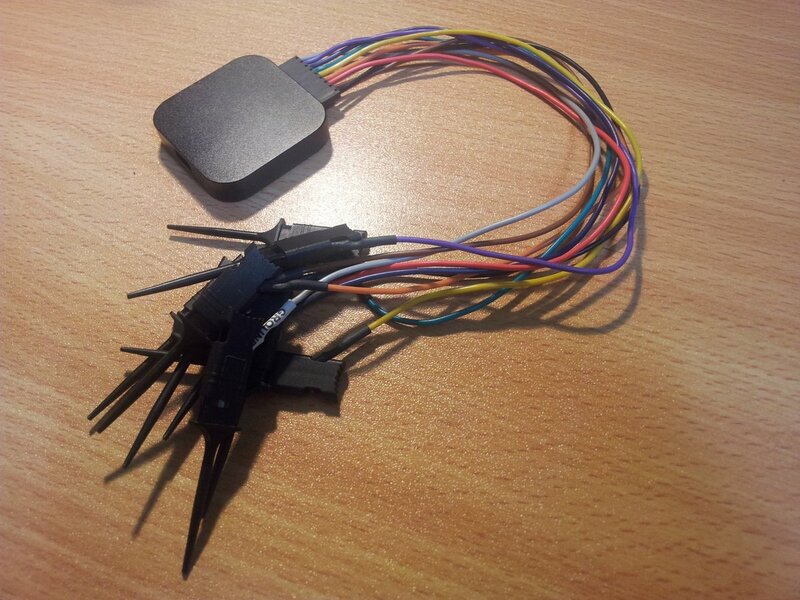 This means they can decode the information sent across common communication protocols, making debugging easier as you no longer have to look at each individual bit and work out what was sent. They commonly support protocols such as UART, SPI, and I2C, and less commonly LIN and CAN. The particular Saleae “Logic” logic analyser below uses a PSoC microcontroller. One of these is essential for debugging embedded designs. 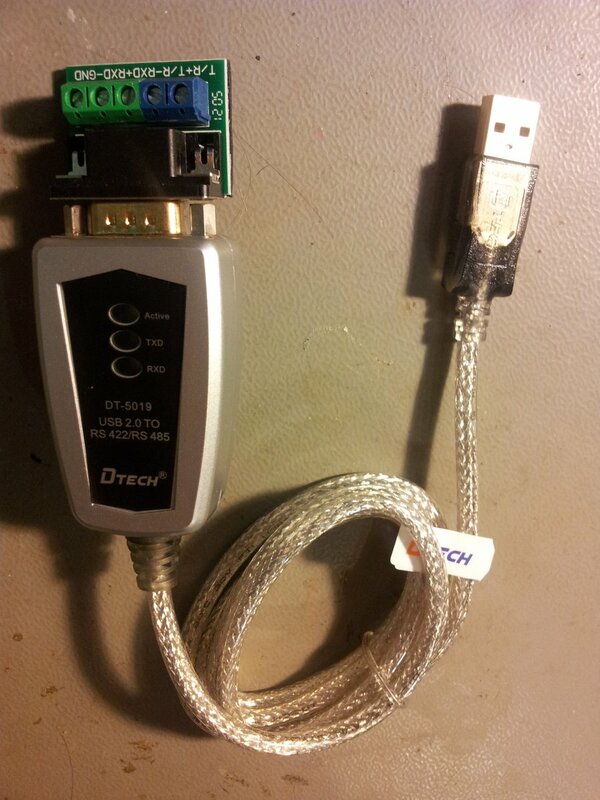 My favourite is the TTL-232RG-VIP-WE “USB to TTL Serial Cable - 1.8m Wire End Version” made by FTDI chip. All of the electronics is enclosed in the USB cable, which has loose colour coded wires at the other end. It is the external-voltage version, which means that instead of the cable supplying Vcc for the UART, it’s provided by the external circuitry. 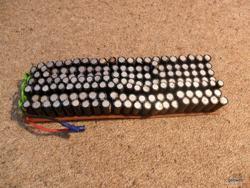 This means the cable can work of a number of voltages, and no level converter is needed! Plenty of industrial, hard-wearing and/or long-distance electrical equipment uses the RS-485 interface for communicating. The DT-5019 is a great USB-to-RS-485 converter for talking to devices uses this protocol with a computer. When installing a USB-to-RS485/422 converter, it installs a virtual COM port under the Device Manager in Windows. 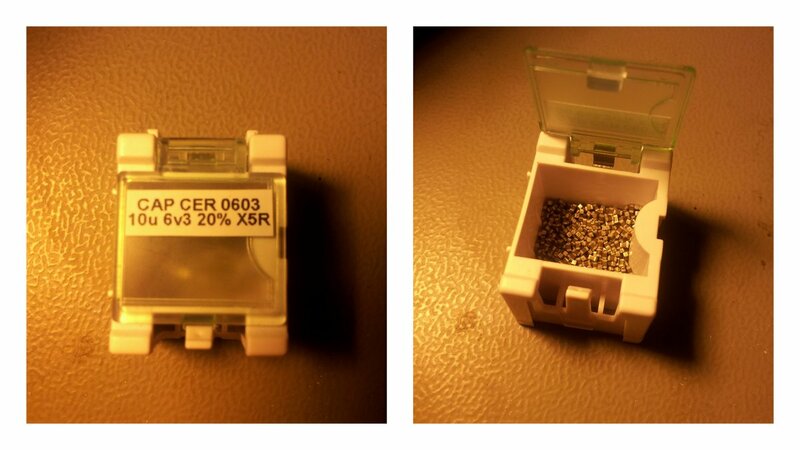 I got this from DealExtreme, part number 54289, for US$19.70 in Jan 2013 (inc. shipping to NZ). It is made by Dtech. 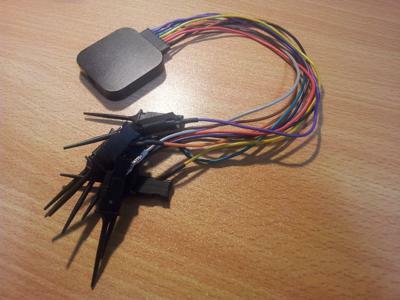 This particular converter comes with standard DB9 connector and also a breakout board with terminal blocks, perfect for most prototyping situations. It supports both the RS-422 (full-duplex) and RS-485 (half-duplex) protocols, over a maximum of 1200m! The drivers are already present on Windows 7/Windows 8 machines, and a driver CD is supplied. It had 600W surge protection and 15kV ESD protection. LED’s on the device show the current status (which is great for debugging). The DT-5019 USB-to-RS-485 converter, with supplied terminal block breakout board. The manual for this Dtech converter can be downloaded here. Large capacitors are a geeks version of a flash car or a huge plasma screen. Except better. 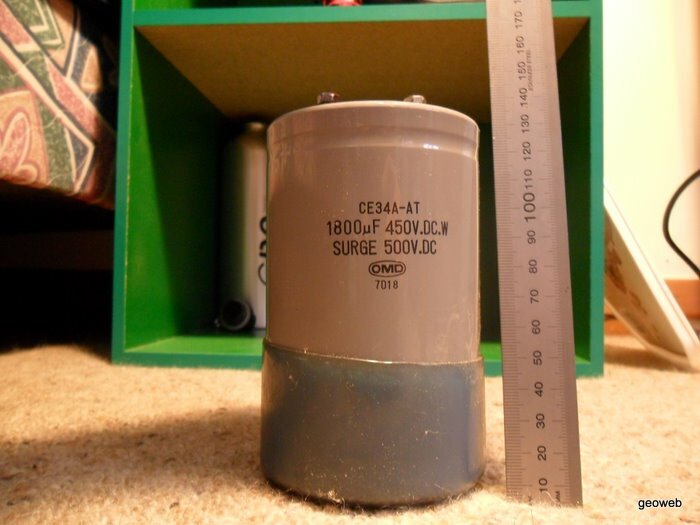 These pics below are of my largest capacitors, 20 1800uF, 500V monstrosities. 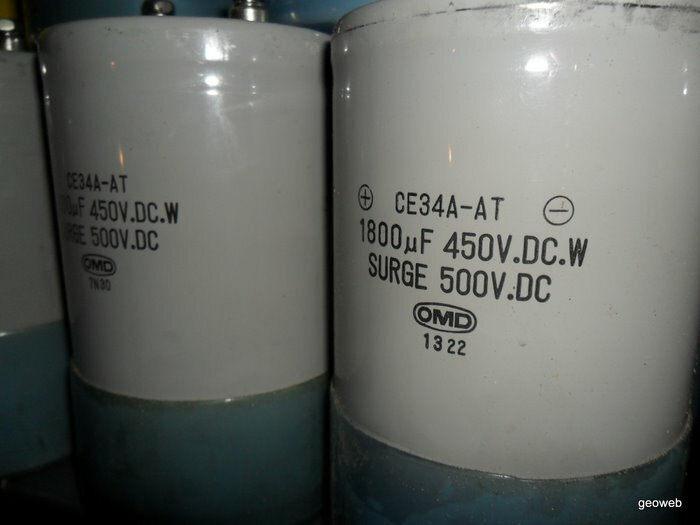 I got these for a total of NZ$40 from TradeMe of someone who didn’t know they actual worth (possibly NZ$1000’s!, I don’t even think they knew they were capacitors). 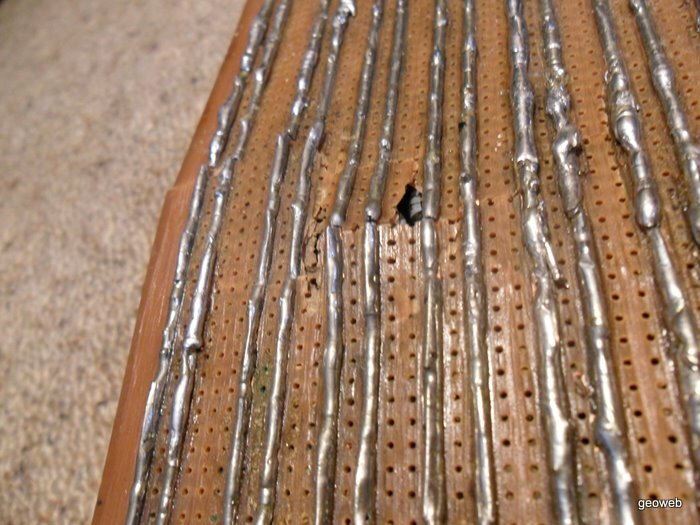 I have yet to use them for anything but shorting out pieces of wire (and with only two in parallel). 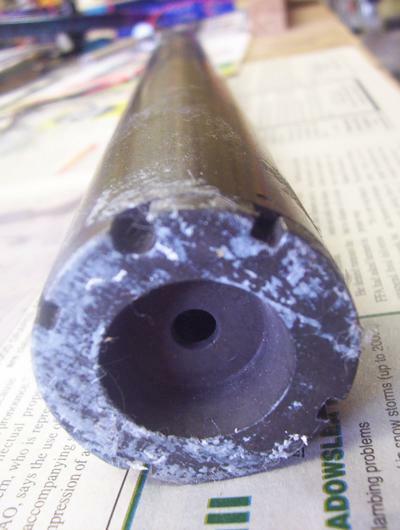 A coil gun HAS to be made from these soon. They are big, and they are powerful. 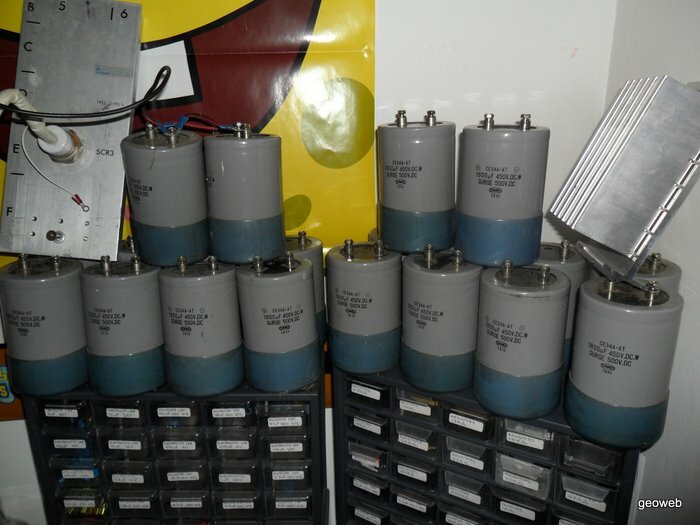 The collection of large capacitors. The bank from above. Made with disposable camera caps. Damaged tracks! I think someone ran over it. 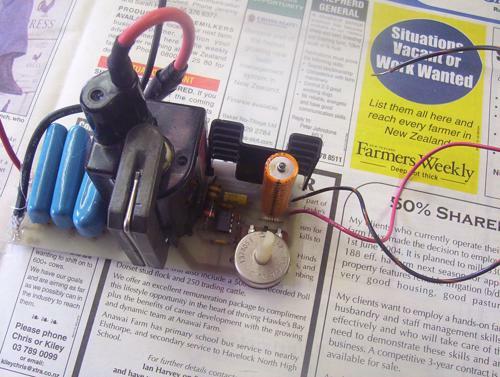 PCBs are useful when developing a circuit past the quick prototype stage. 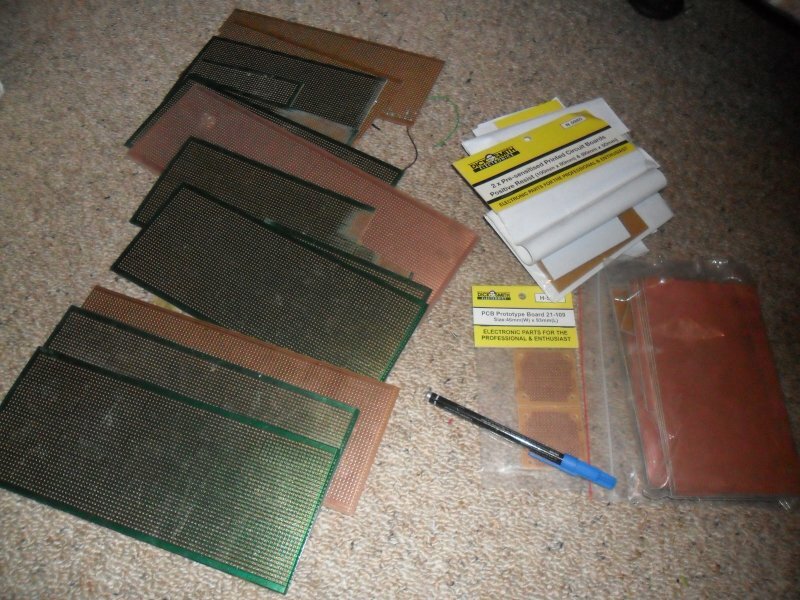 I have both blank copper PCB sheets as well as protoboard (copper tracks running parallel with each other), and variations on proto-board designed to make it easier to hook up ICs and other chips. Collection of proto-typing and solid copper boards for making up circuits. The HeNe laser, looking down the 'barrel'. 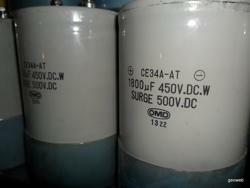 The power supply for a 3kV HeNe laser. Altium is a CAD package for designing circuit boards. It is a very expensive (like most high-end CAD packages) piece of software, that I do not own personally. Luckily, the company I work for has commercial licenses, which I use when designing PCBs. If you want to know more about it, go to the Altium page. I can happily say that console calculator is the best software-based calculator in the world. It is an open-source, cross-platform calculator with powerful features in a tidy and easy to use interface. It kind of looks like a command prompt window (or console window for you ‘nix’ fans), that accepts maths commands. Console Calculator supports many built in functions, the ability to create your own, quick conversion between units, the ability to add your own units, customizable rounding/display modes, ridiculous 269 digit floating point precision (many other calculators are only 64-bit), decimal, hexadecimal and binary number system support, and more!